12975 175th N Road Jupiter, Fl 33478 has been sold. You can view available homes in Jupiter Farms. 2014 BUILT 4-BED + DEN/OFFICE, 2-BATHS. CBS, IMPACT WINDOWS, & METAL ROOF ON A .94 ACRE CLEARED, GATED, & FENCED CORNER LOT. SHOWS LIKE A BRAND NEW HOME! FEATURES INCLUDE AN OPEN FLOORPLAN WITH ULTRA HIGH-QUALITY CONTEMPORARY FINISHES. SHOWS LIKE A MODEL HOME! 36-INCH WHITE PORCELAIN TILE, QUARTZ COUNTERS THROUGHOUT, SS APPLIANCES, SURROUND SOUND. LOTS OF WINDOWS AND LIGHT. WHOLE-HOUSE CHARCOAL WATER FILTRATION SYSTEM. THE HOUSE IS BUILT ON A HIGHER ELEVATION WITH ALL PAVED ROADS AND CLOSE TO INDIANTOWN ROAD. GREAT VALUE, MOVE-IN READY! MINIMUM 24-HOUR NOTICE NEEDED TO SHOW PLEASE. 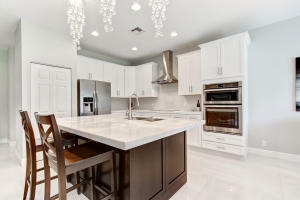 12975 175th N Road located in Jupiter, FL is a single family home with 4 bedrooms, 2 full baths and 0 half baths.The Home at 12975 175th N Road was built in 2014 in Jupiter Farms and offers a 2 car garage. This Jupiter Farms Home offers horse trails, sidewalk. 12975 175th N Road Jupiter, Fl is currently listed for $500,000 under the MLS# RX-10247879. This Home has been put on the Jupiter MLS system and currently has a status of SLD. Your personal information is strictly confidential and will not be shared with any non-affiliated organizations. You are consenting for an authorized representative to contact you regarding this property. Jupiter Farms in Jupiter is really a wonderful community in a great city. If you like the beautiful Jupiter location but you are not sure about this community. You might like one of the other local communities like Bluffs Marina or Ritz Carlton Golf Club or Abacoa Town Center or Island Country Estates or Corinthians that are located here. Please register to view full listings and all photos. Registering is FREE, but some site features require contact information. As soon as you register you will see the full listing information. If you're a returning user just enter your email to login. Your information is kept private. We do not sell your information to third parties unless requested. Mortgages quoted by a third party.